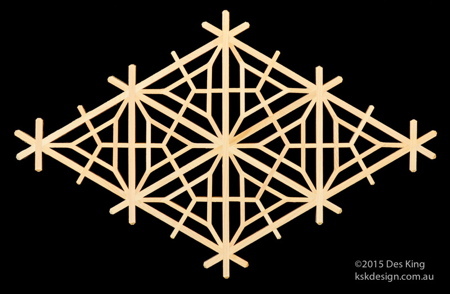 This comparatively simple pattern for Book 3 is the kikyō kikkō, and it is grouped together with the yae-kikyō I covered in Book 2. Kikyō is the Japanese name for the bellflower. 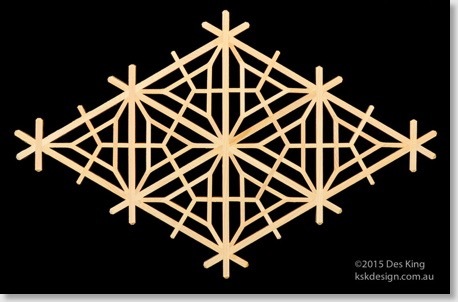 There are a couple of other kikyō patterns I'll include in the new book, and they involve multiple mitsu-kude joints within the pattern, so that in itself presents a new challenge.